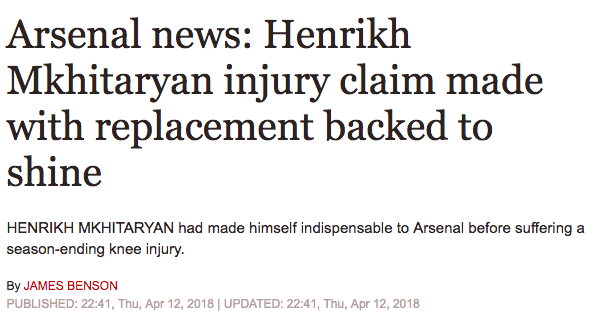 Henrikh Mkhitaryan is back training with Arsenal ahead of their do-or-die Europa League match with Atletico Madrid. The Armenian has emerged as a key figure in Arsenal’s season. Last weekend, he scored on his first return visit to Manchester United, with whom he won the Europa League last season. 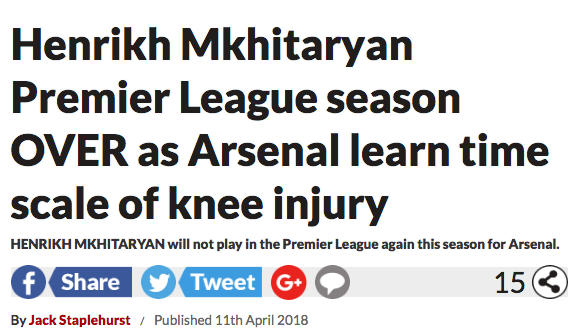 Good news for Arsenal, then, that Mkhitaryan is fit.